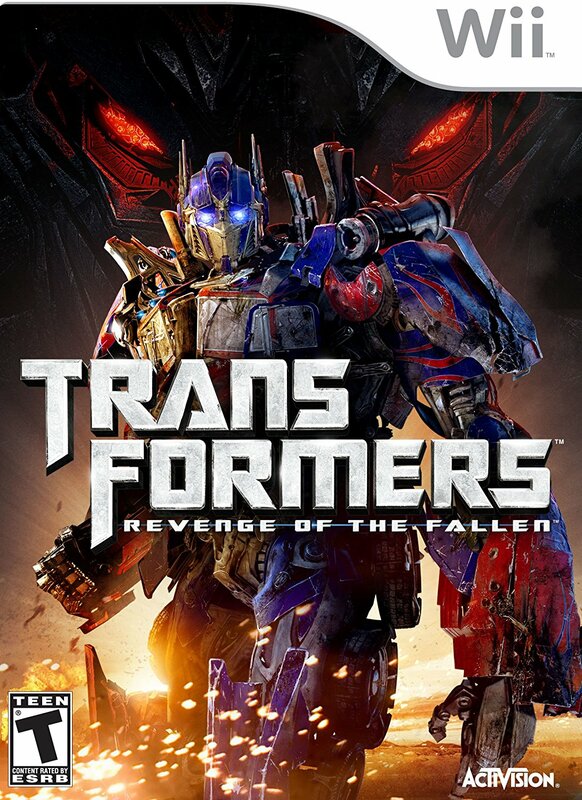 Is the Wii game Transformers Revenge of the Fallen a faithful yet expanded version of the film? Check. Platform type action with plenty of ways to dispatch Decepticons…or Autobots? Check. An automatic camera?…that works! Check! This Wii version offers a different experience from the counterpart Xbox 360 and PlayStation3 versions of this entertaining game full of robot rampages by land, air and sea. The single player campaign is largely a linear experience with about 15 levels and begins with an expansion of the Optimus Prime air drop down to Shanghai from the movie. Optimus can show you the ropes (special moves, interactive options, etc.) through the optional assist, which give you audio and text cues to successfully complete. You can always discover on your own, but button mashing doesn’t really work. Utilize the premium blend of dodges, attacks, interactions and special movements to succeed. The gameplay is intense without being too loud or overwhelming. You’ll definitely get your upper body exercise as well especially when completing strikes, melee attacks and thrusts which match the Wii control capabilities very well. The transforming elements provide that extra, strategic dynamic which boosts this experience above the average. For example, quick transforms in flying scenarios can give you that quick stop attack where you can lock on your target, dispatch, and then quickly take off without missing a beat. The reactionary character dialogue basically cues you to certain actions; informs you about damage and, of course, taunts and celebrates great moves to keep the action exciting. The dialogue also adds some nice humor into the mix. You can shoot by pressing the trigger (B) button then aim with the remote and move with the nunchuk. The autosave option and frequent checkpoint system ensures you won’t lose your progress plus you get three save slots. Health and bonus items are frequent even on the hard level (normal difficulty available as well). Overall, the campaign can be conquered in single digit hours and features a “remote weapon system” where a second player can jump in the action and assist the first player controlling the main character. This useful, well planned system keeps the screen uncluttered while keeping the story concentrated the first player’s character. Developers expand the experience with unlockable extras (galleries, movies, etc.) and the new Co-op Arena Mode promotes teamwork as you fight waves of foes with a friend. The extras include three full episodes from the original Transformers animated series. Volume options allow customization of the grinding sound effects, music and dialogue. This all ages game still has great challenges for older and more experienced gamers (*** out of four stars). This entry was posted in Video Game Reviews and tagged Michael Siebenaler, Mike Siebenaler, Tall Writer, Transformers, video games, Wii. Bookmark the permalink.